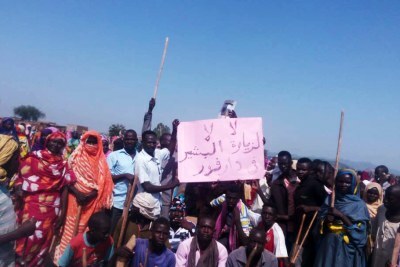 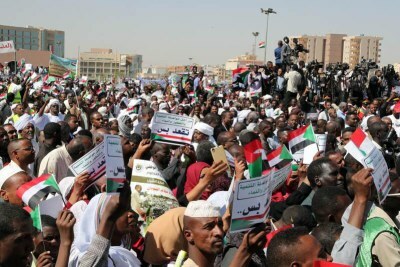 As residents in El Barsi and Fadul in El Gezira gathered in the street to protest and raise banners reading 'Just fall' and 'The revolution is the choice of the people', the editor of Al-Lawan in South Sudan has fled his country after being warned not to cover protests in the "friendly, neighbouring country" of Sudan. 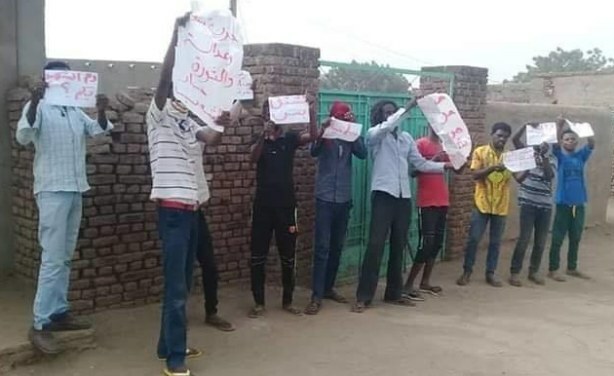 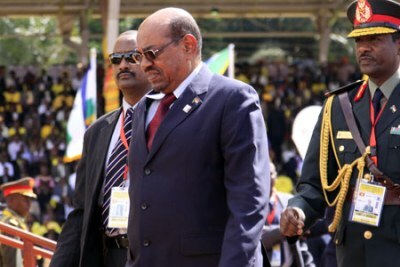 Dozens of journalists inside and outside Khartoum face arrest for "inciting violence" and "spreading fake news". 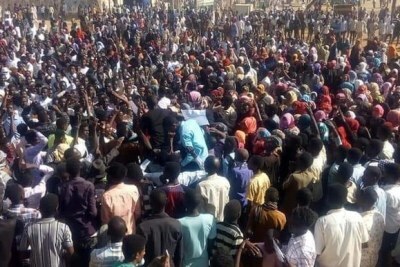 Demonstrators in El Barsi in El Gezira on 28 January, 2019.